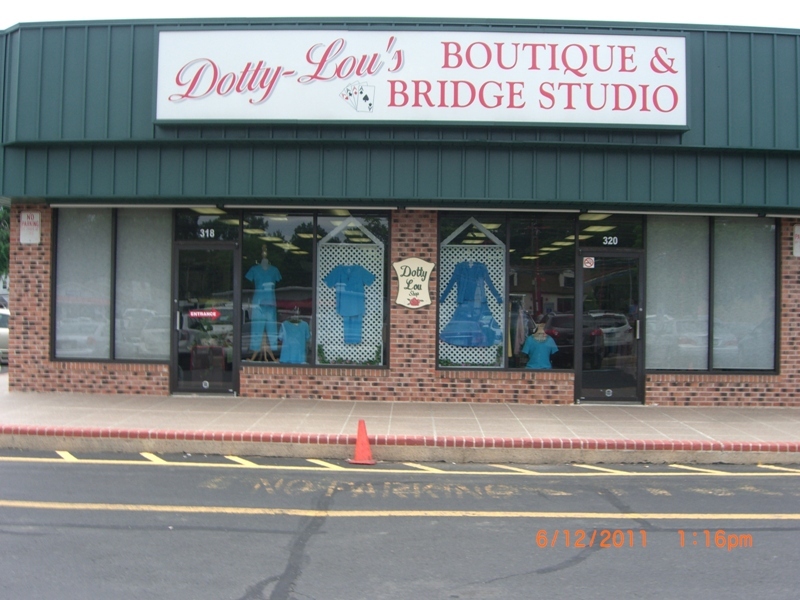 Dotty Ehling has been on the scene of women’s clothes and bridge for a long time. She had a shop in Peddler’s Village (Pa) for ~40 years. She started a bridge club in Doylestown about 40 years ago in the Moose Lodge. She moved to the Boys Scout Headquarters in Doylestown and then about 11 years ago rented a facility in Warminster and started adding games to her then twice a week schedule. Five years ago she got the idea to merge her two businesses and form Dotty Lou’s Boutique & Bridge Studio where they have day game every day of the week and an evening game on Monday. 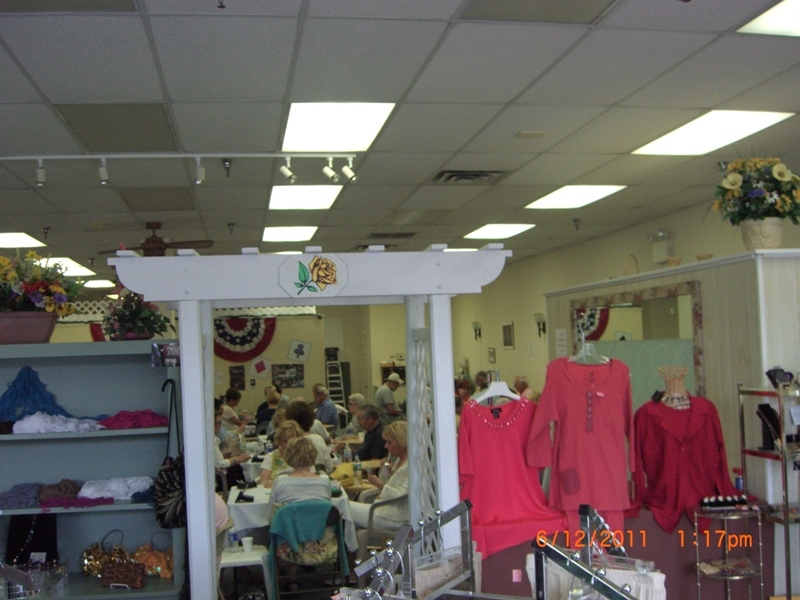 The store is a clothing store in front and about 20 tables in the back portion of the store. Certainly a unique format for a bridge club and Dotty is quite a lady!